The Philadelphia Union enjoys a growing number of supporters groups, some of which are officially recognized by the club, others which are not. Led by the example of the Sons of Ben, all are focused on creating an enjoyable tailgating and match-time atmosphere, but some have grown to become involved in charitable work, as well. 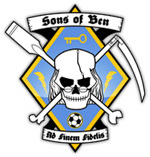 Founded in January of 2007, the Sons of Ben are the granddaddy of Union supporters groups and the only one officially recognized by the club. A registered nonprofit,with more than 5,000 members, they also manage the Philadelphia Independence supporters group Daughters of Betsy and the USNT supporters group Delaware Valley Infantry. They are very active in charity work. Follow them on Facebook. 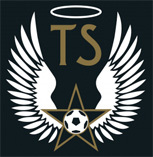 Taking their name from that of the Lenni-Lenape chief, the Tammany Saints were founded in 2009 and sit in section 101 at PPL Park. Their mission: “Just enjoy the game.” You can read our interview with founder Armando Rios and follow them on Facebook. The IllegitimateS formed after the opening game at PPL Park against the Seattle Sounders in June, 2010. They are in section 133 below the area reserved for away support. There they work tirelessly to “Defend the Corner.” You can read our interview with co-founders Jeffrey Mitchell and Kenny Hanson and follow them on Facebook. The Bridge Crew are located in sections 120 and 121 ar PPL Park. Founded in 2011, they support the Union with a positive message of good sportsmanship. You can read our interview with co-founder Benjamin Bedard and follow them on Facebook. 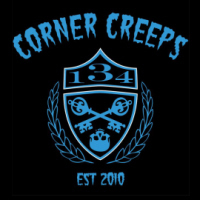 The Corner Creeps are located in section 134 in the River End and just want to have a good time supporting the team they love. They got their name in June 2010 at the opening of PPL Park. Someone else in their section threw beer onto the pitch. Security eyeballed them because of their tattooed appearance. At halftime a security guard was overheard referring to them as a bunch of tattooed creeps. The rest is history. You can read our interview with founder Damian Cusumano and follow them on Facebook.